Deadlift hotfixes, Skølldir Showdown, news! 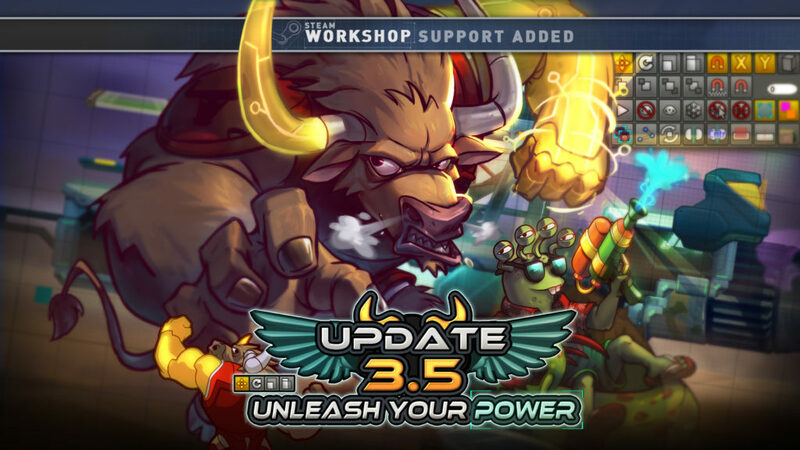 Awesomenauts 3.5: Unleash your Power has been out for over a week and during the Streamisho last Wednesday we discussed hotfixes, community news and a great community map! One of the competitive community members, eddster_27 talked about how interested players can join the competitive scene. The best way to start is by getting some friends interested in playing in a premade team. It will be a blast to play with them and you’ll grow into an experienced team quite soon! You don’t have to participate in all tournaments right from the start, and the increased synergy you get from playing with the same people regularly will make a team successful even when the skills of a team are not the best. It’s that time of year again, when all the nauts receive their mandatory vacations, and what better way to spend all this free time, than going to the famous resort Lagura beach? Unfortunately, another company had the exact same idea, and the beach isn’t big enough for all of us. Clear ‘em out, trash their hotel lobby, and claim your spot in the sun!